Sooth and nourish the feet damaged by cancer treatments. Particularly impacted by cancer treatments, your little feet can present desquamations but also burning and discomfort sensations, typical of the hand-foot syndrome. To prevent and fight efficiently the side effects of chemotherapy and targeted therapy, it is important to pay particular attention to the care of your sensitive feet! The 3-pack Moisturizing Slippers contains 3 pairs of moisturizing slippers to fight against skin dryness of your foot soles. Moisturizing, soothing and nourishing, our slippers give comfort to your feet affected by treatments. Easy to use and soft for your sensitive skin thanks to their cosmetotextile format, our moisturizing slippers offer an immediate freshness sensation and strongly moisturize your feet. The efficiency of the serum is strengthened thanks to the occlusion action of the moisturizing slippers. 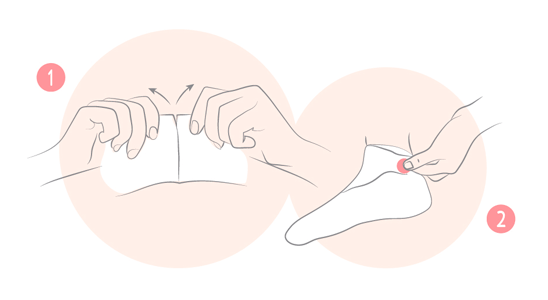 A little tip : when you remove the slippers, massage your feet to allow the excess serum to penetrate the skin. For obvious hygiene reasons for your weakened feet, Moisturizing Slippers are for single use only. Composed of 98% natural ingredients, our Moisturizing Slippers were formulated without any harmful ingredients or ingredients associated with hormonal imbalances. You can put them on without doubt! Organic Aloe Vera Gel: in addition to its moisturizing powers, it brings a sensation of freshness to your feet, for a true moment of well-being ! Mango Butter: naturally rich, it nourishes dry skins and gives them their suppleness back. Sweet Almond Oil: rich in fatty acids, it protects and deeply repairs the skin, which helps making it smooth. 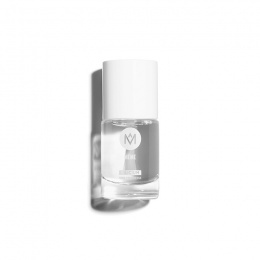 AquaxylTM: from vegetable sugars, it recharges the skin in water and helps to smooth the most damaged skins.